With the Marvel Legends series, both kid and adult Marvel fans and collectors can start a legendary collection of the comic- and entertainment-based Marvel characters. 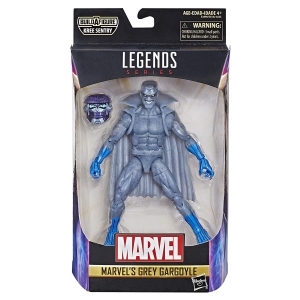 This 6-inch Marvel grey gargoyle figure is highly articulated and features a design inspired by the Captain Marvel movie, making it another worthy addition to the Marvel Legends series. Marvel characters and stories have become a timeless part of pop culture, making their mark in comic books, in movie theaters, and on TV. Join the battle and continue the story that has entertained, captivated, and inspired generations of fans around the world.